Flowers are our passion. We love growing them, we love designing with them, and, most of all, we love the happiness and joy they bring our clients. 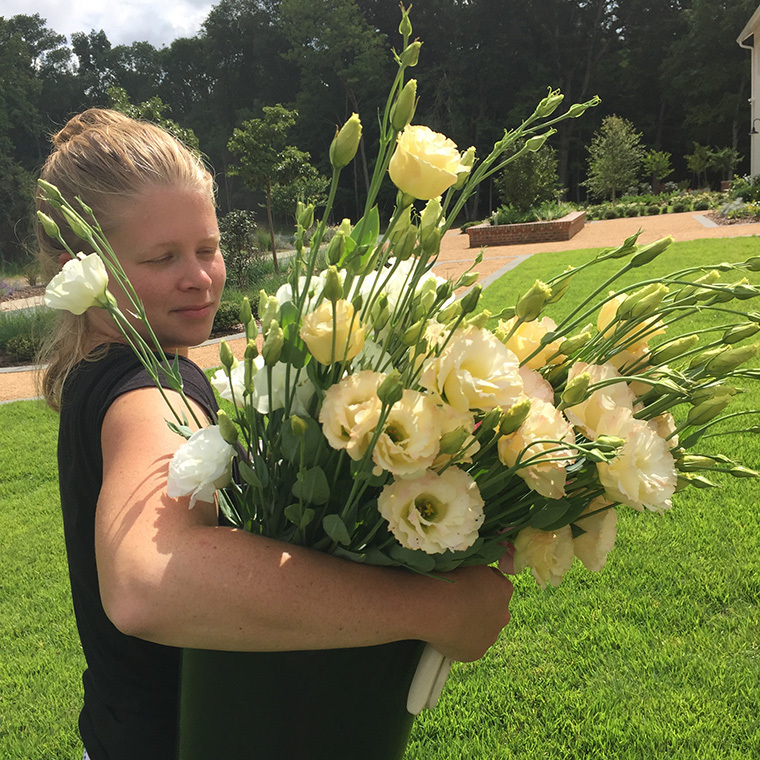 As farmer-florists, we believe nothing can compare to walking out to the fields in the morning, gathering an armload of blooms, and then creating a beautiful arrangement of freshly-picked flowers and greenery. There’s nothing more lovely or fragrant than fresh field-to-vase blooms! We design and create all the florals for our farm weddings, and we also accept a limited number of off-farm floral design work each year. Take a look through our photo gallery to see recent examples of our work, and please feel free to contact us about our floral design services. We grow over 80 different types of cut flowers, and each year we continue to add different varieties of unique and heirloom blooms to our fields. From classic favorites like sunflowers and zinnias, to more unique varieties such as heirloom mums and dinner plate dahlias, it’s impossible to choose a favorite! Each year, we open the farm for u-pick events and floral workshops. Follow us on social media and subscribe to our newsletter to be the first to know when a class is announced and registration opens. Spots are limited, and we usually sell out! We also host seasonal pop-up flower shops in and around Durham, Raleigh and Chapel Hill, which we announce on social media.